The legendary Greystone Mansion of Beverly Hills will soon open its gates and welcome visitors. The estate's secrets, mysteries and ghosts, however, may not reveal themselves as easily. If only these thick, limestone walls could talk. 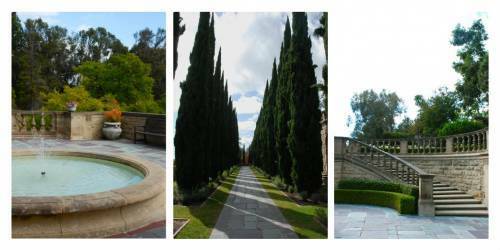 This weekend, the legendary Greystone Mansion of Beverly Hills will open its gates and welcome visitors to the annual Greystone Mansion Designer Showcase House (Nov. 2-24) -- and more than 25 of Southern California's top designers will display interiors that promise to inspire, delight and amaze -- the estate's secrets, mysteries and ghosts, however, may not reveal themselves as easily. If only these thick, limestone walls could talk. You see, according to local lore, the stunning 56,000 square foot Tudor estate built in the late 1920s by oil tycoon, Edward L. Doheny, for his rakishly handsome son, E.L. "Ned" Doheny, Jr., is haunted. 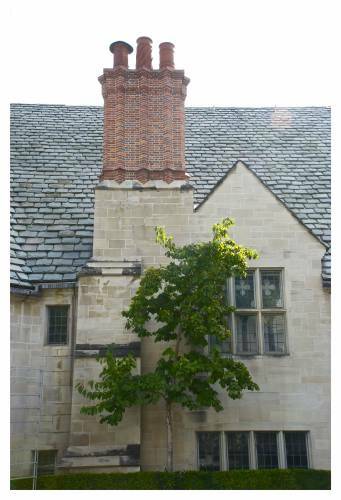 On her blog, Walking With Dead People, Mary-Beth Brophy says witnesses have seen a ghost of a man wearing a black suit and a pork pie hat on Greystone's dramatic, main staircase, "while others claim to have seen phantom butlers and cooks." It is the spirit of a woman, however, who Brophy says is most often seen lingering in the lonely halls, accompanied by the unmistakable scent of lilac perfume. Of course, any ghost with ironic tendencies and unrequited aspirations of stardom might choose to haunt a manse that has also been the location for films such as: Ghostbusters and Ghostbusters II (really! ), There Will Be Blood, The Witches of Eastwick, Death Becomes Her, The Phantom, Dead Ringer, Memoirs of an Invisible Man, House of the Damned, All of Me, Hard to Kill and Picture Mommy Dead -- in fact, the staircase alone is believed to be the most often filmed in movie-making history. The truth is, however, in real-life the photogenic home has been the unfortunate scene of several untimely suicides, a fatal accident and two very mysterious murders. After living in his new home with wife, Lucy, and their five children for only four months, the oil field heir and his longtime friend/personal assistant, Hugh Plunkett, were found dead in a guest bedroom on the first floor. Hasty reports of a murder-suicide were filed and the case was closed after only 36 hours. Officially, it was documented that Hugh shot Ned, then himself and was found with a pistol in his hand. However, accounts of admitted tampering with the crime scene and subsequent burial choices cast suspicion over the tragedy. Rumors continue to this day. In the month ahead, the scene of the long-ago crime will look quite different. Re-imagined for the Showcase House by designer, Victoria Reitz, the former guest room (now affectionately referred to as the Murder Room) has been transformed into a luxurious study, elegantly appointed and inspired by Reitz's client, Paul Mockapetris, creator of the ".com" Internet domain naming system. 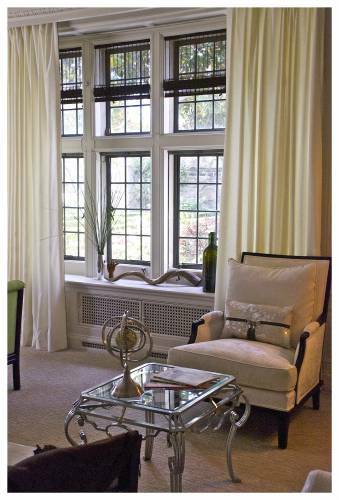 Featuring floor-to-ceiling curtains, silk upholstery, whimsical details and a soothing, sophisticated color palette, the room is absolutely to die for. Designer Suzanne Furst of Suzanne Furst Interiors believes the lingering spirits are, "friendly ghosts for the most part... I think they like me." said Furst with a snap of her fingers. "I fought and fought and then, when I gave it a little push -- I swear to you it slammed open so hard it hit the wall -- if that isn't ghosts I don't know what is." but I've talked to people who have been in rooms where all of a sudden they get really cold, and there's like a 'whoosh' going through... and [Greystone Mansion Park Ranger] Steve has found weird things in the basement... he can tell stories that make your hair stand on end. 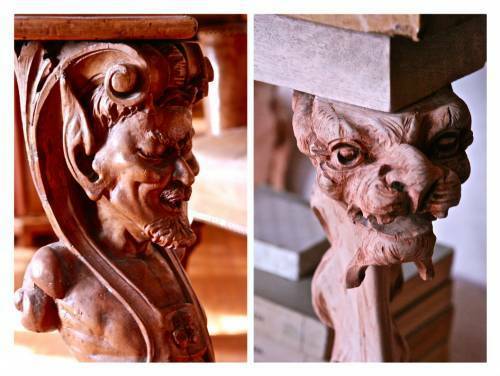 Designer, Nicholas Hertneck of Nicholas Lawrence Design has a ghost story of his own. Not surprisingly, it happened as he finished up removing the last of his decor from the Murder Room following a previous showcase. "I stood in the middle of the empty room," remembers Herneck, "and the paintings I had taken down, the last things to go, were stacked against the wall... and I just stomped my foot and said, I dare you! I dare you to show yourself! And it didn't. So I said, You're a coward or a fake! You don't exist!" Herneck says after his ghost-busting outburst, he went back to work putting spackle on the remaining holes the picture nails had made in the wall. "I was going around the room systematically," says Herneck, "when I went to rub the spackle off my finger and there was something on it. I didn't think I scratched it... no cut." When Herneck looked up, the walls were bleeding. Herneck says about five to six inches were dribbling down from the punctured plaster... "and I looked to my left where the other three nails had been pulled out and the [blood from those holes] was this far down the wall... I was like, holy sh#*!" "I ran out of the room and brought back a bunch of people and we got pictures... and then it just faded away. It faded away." 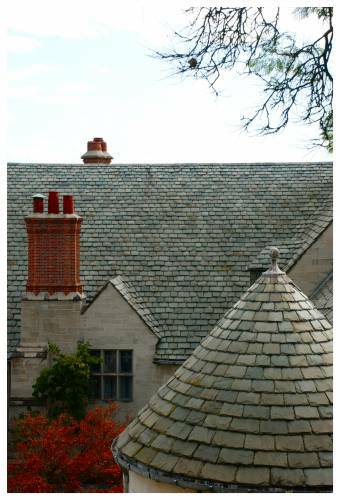 For tickets and information about the Greystone Mansion Designer Showcase House and related lectures and book signings, check out the event website, at Design House International.